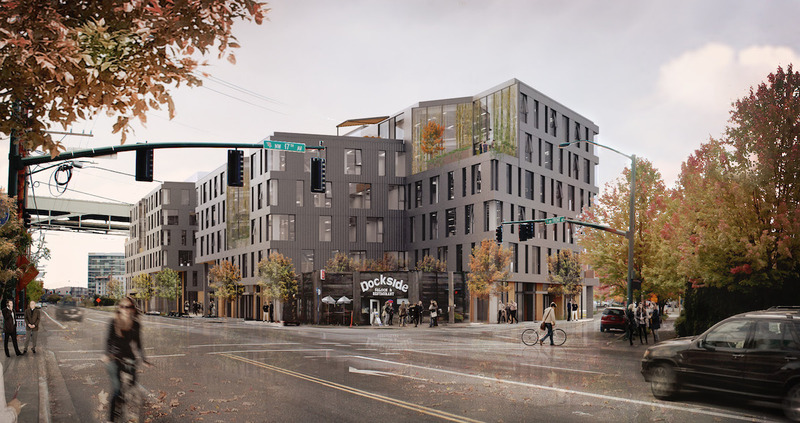 The Design Commission has approved an apartment development at SW 4th & Grant by Snohomish, WA based developer Kōz Development. 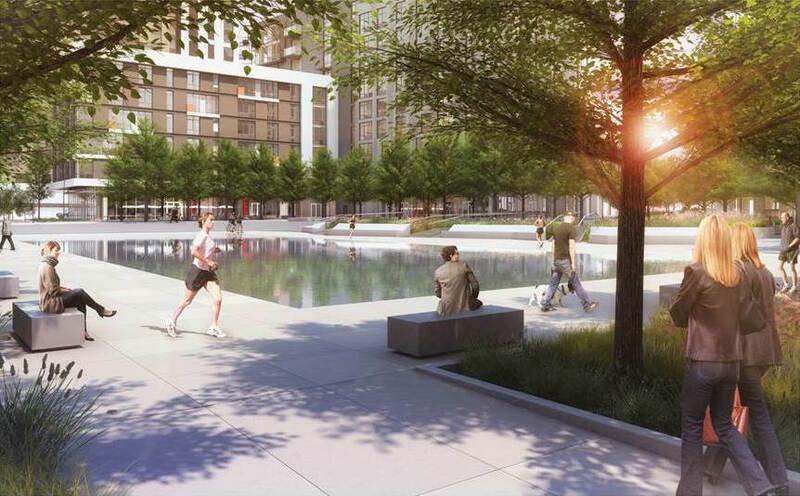 The 6 story building would include 108 studio apartments units. 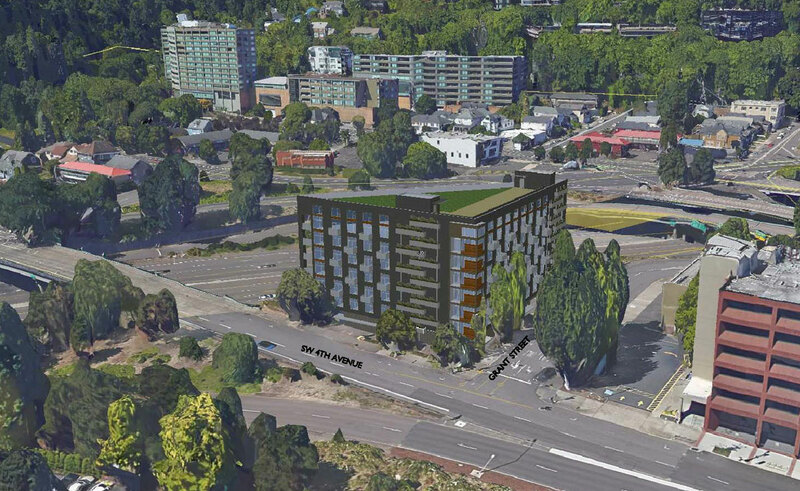 20% of the units, or 22 units total, will be affordable to those earning less than 60% of area Median Family Income, subject to the Portland Housing Bureau approving the developer’s application for a tax exemption. 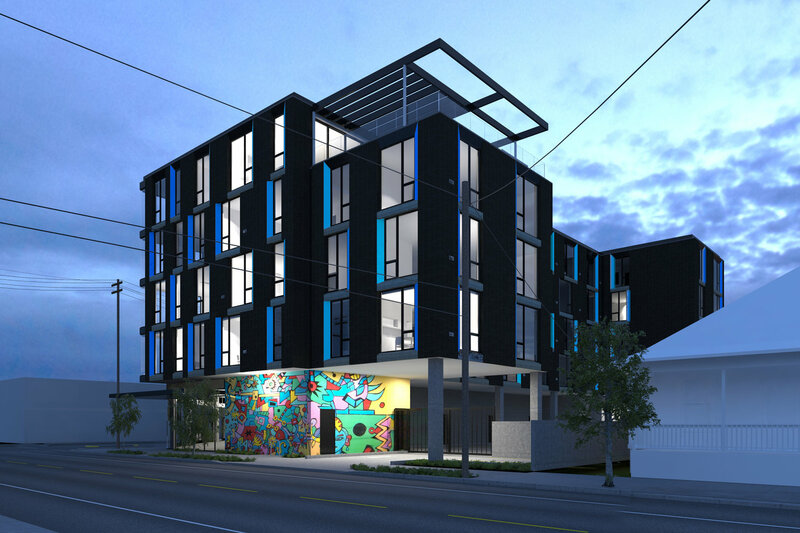 Snohomish, WA based developer Kōz Development have presented a new apartment building at SW 4th & Grant to the Design Commission. The 6 story building would include 108 studio units. 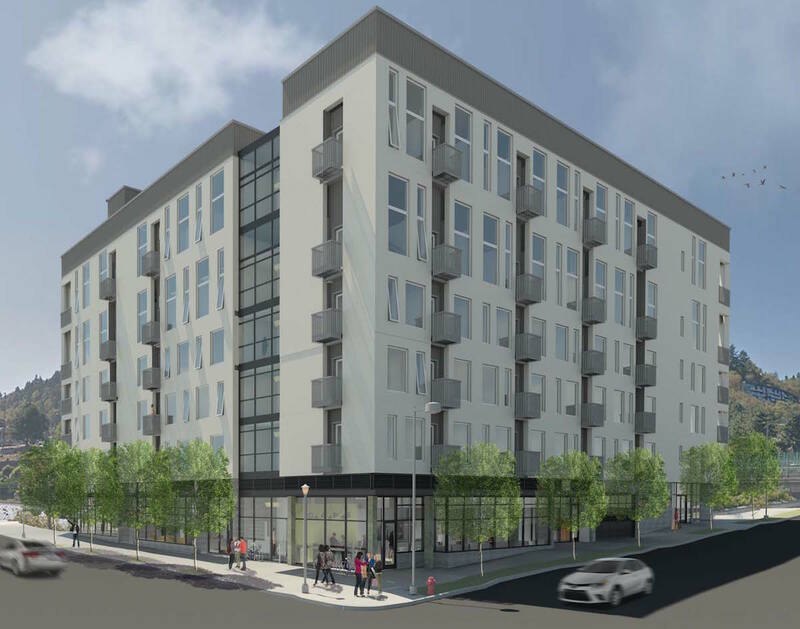 20% of the units, or 22 units total, will be affordable to those earning less than 60% of area Median Family Income, subject to the Portland Housing Bureau approving the developer’s application for a tax exemption. 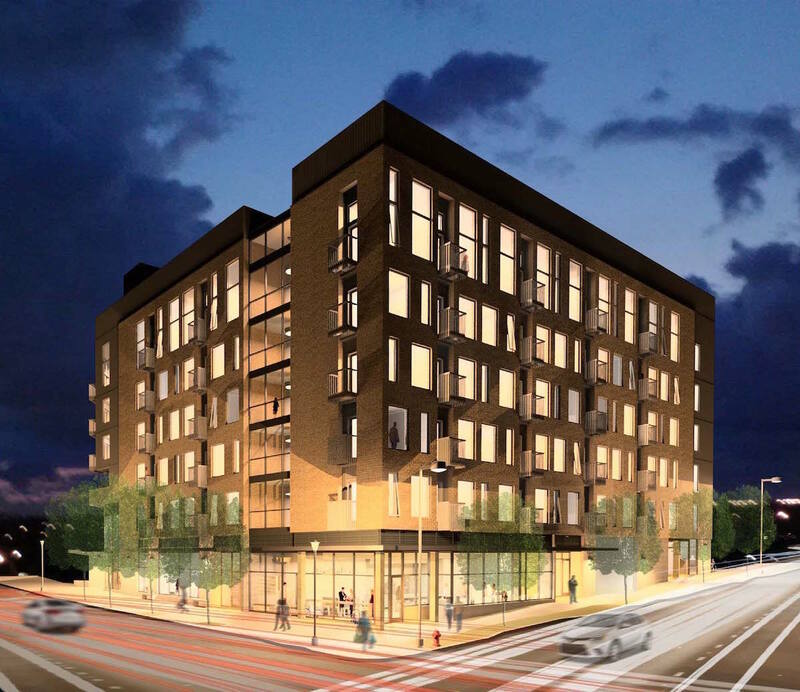 Design Advice has been offered to Koz Development for a student housing development at 2211 SW 4th Ave, near Portland State University. 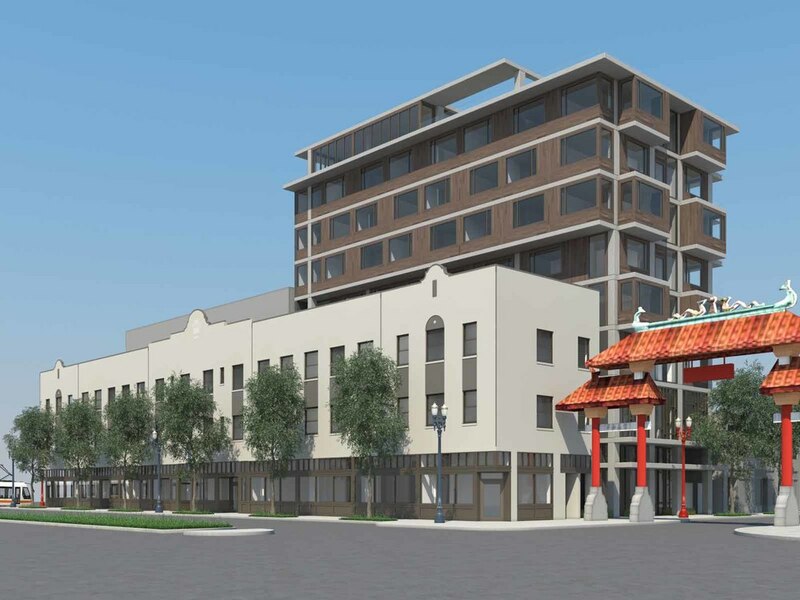 The proposed building would include 110 residential units in an eight story building. The ground floor as proposed would be primarily taken up by public parking. Mixed-use building with 6-7 floors of apartments over a podium and ground floor retail, over 2 levels of underground parking. Pre-Application Conference to discuss Type III Design Review for new 110-unit apartment building over surface level parking deck. The building will provide “micro-studio student housing”. 6 story, 154,903 sf, 124 unit residential apartment building with parking at ground level. IIIB over IA construction.